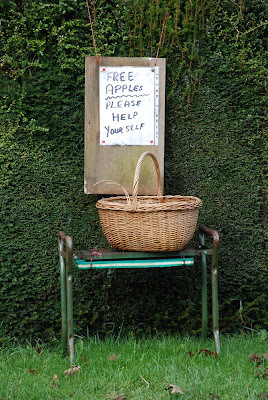 Today I shall take you to Nackington for some free and delicious apples. That's lovely, to share the abundance. So nice to see this with so much fruit chucked out cos it doesn't adhere to EEC regulations! A lovely photo.